After a little lull, the Saucony Type A series has finally received a major update. 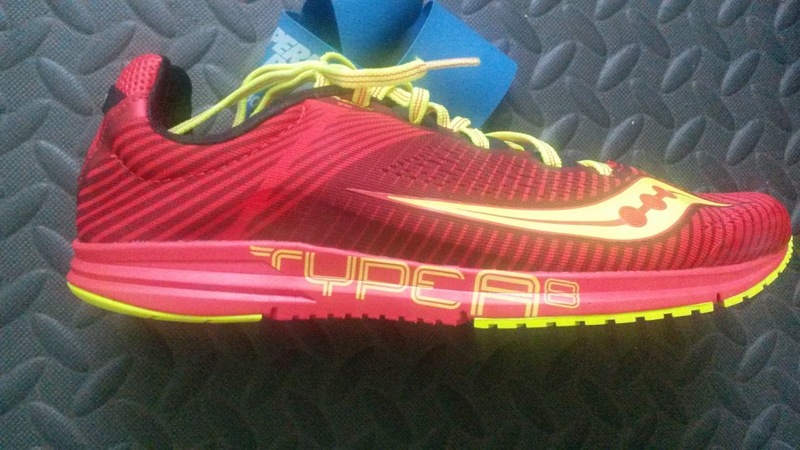 After the Type A6, the shoe did not change and instead of the A7 was titled the Type A. The Type A7 was for the most part only an upper change, thus I elected to review the A6 (HERE) and pass on the A7/Type A. The lack of name change initially was concerning for the future of the Type A series, but the A8 was more than worth the wait. This shoe has received significant updates that improve on almost every aspect of the shoe. How so? Let's talk. The first thing noticeable about the Type A8 compared to previous versions is how much more accommodating the fit is despite being on the same last. The A6 and A7 were snug enough that at times it was a struggle to even get my foot into the shoe. The A8 is still a racing shoe and has a racing shoe fit, but it is more comfortable than previous. 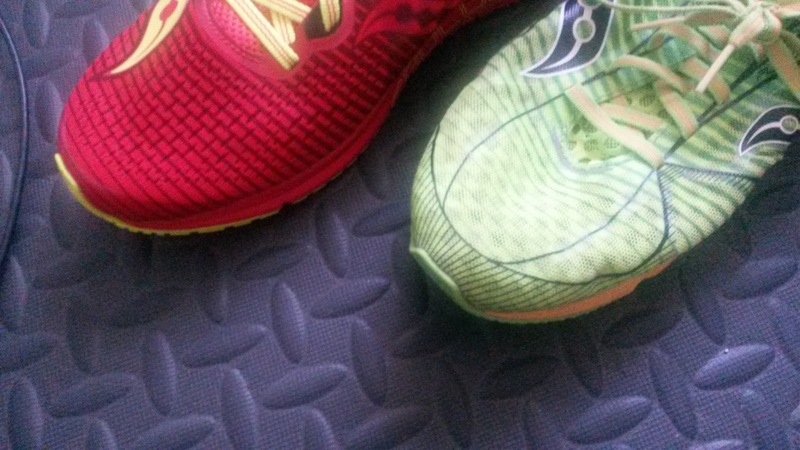 This may be due the new mesh upper that stretches very well and provides for a far better forefoot fit. Instead of the quick taper along the 1st toe due to the extended but flexible toe guard, the guard in the A8 is much shorter. This allows for the toes to have a place to stretch against the upper. 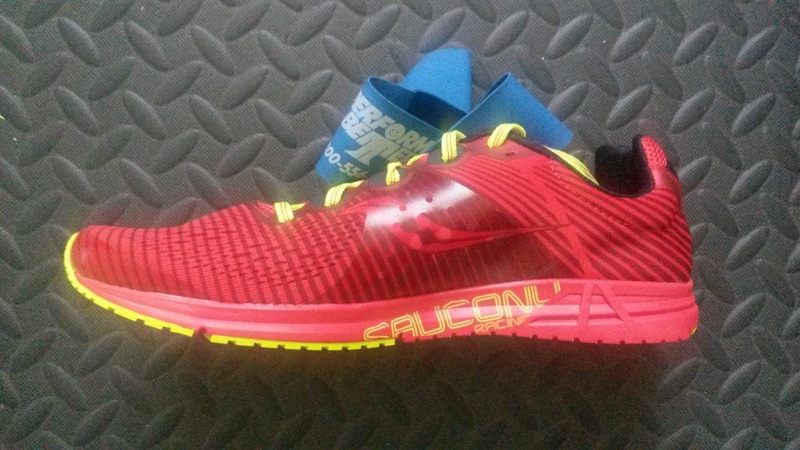 How this may affect the durability of the forefoot aspect of the upper I do not know, but only time will tell. 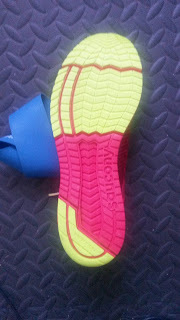 The midfoot, like the forefoot, has a more accomodating fit as well thanks to the stretchy mesh upper. However there is now a film on the medial aspect that provides mild resistant to deformation and with tightening of the laces can make this shoe a secure as you want in this area. The heel, like the rest of the shoe fits far less snug than previous. However, that does not make the shoe less secure. 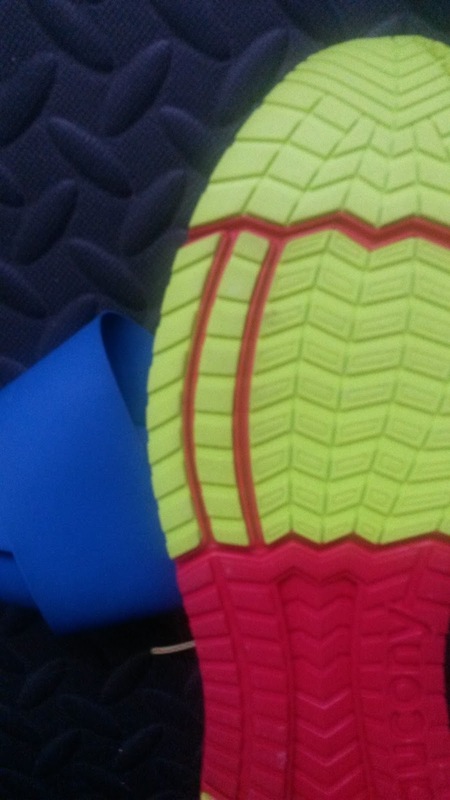 The heel tab is now split, thus placing less pressure on the Achilles tendon. Under that there is a very minor heel counter at the posterior most aspect of the shoe that does go almost all the way up to the top of the heel split. Surrounding that the heel area is fairly flexible. I personally would suggest lace locking the shoe, but again this does have a racing shoe last. Overall the upper is much more flexible and should accommodate a larger variety of foot types than the A6 and A7. The sizing of the A8 is fairly true to size, so I would suggest most stick with their normal size for racing. 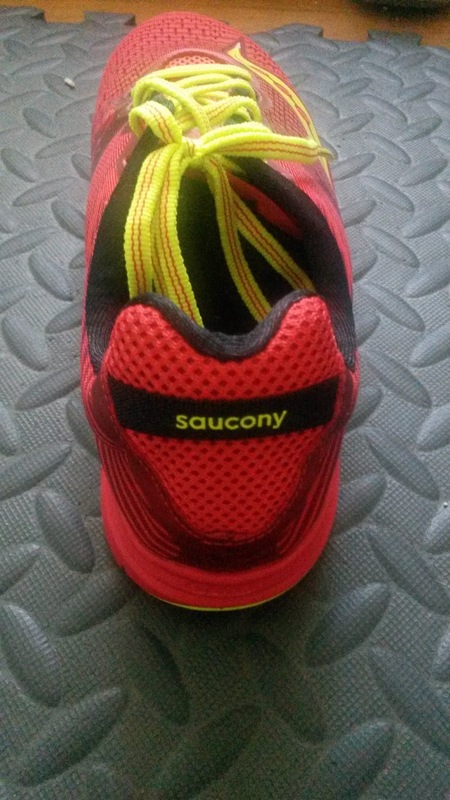 Thanks to the more accommodating upper, most will not need to size up if they use this as a minimalist or lightweight shoe for longer distances but as always I would try before you buy. Upon initial step in, the sole of the A8 feel slightly more forgiving that the A6/7. Upon testing by hand the sole densities, they are actually fairly similar. 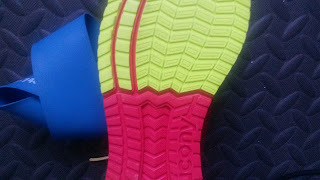 The slightly more forgiving sole actually comes from the addition of many more flex grooves throughout the shoe. There are several major new ones. The first is in the heel and acts somewhat like the crash pads that many companies used to use at the posterior lateral aspect of the heel (and some still do). Whether this actually works to reduce impact is not known as I have not come upon any research on the matter. The lateral flex groove under the MTP joints (metatarsophalangeal joints, aka toe joints) feels great and flexes well upon toe-off. There are also sagittal plane flex grooves in the lateral forefoot. 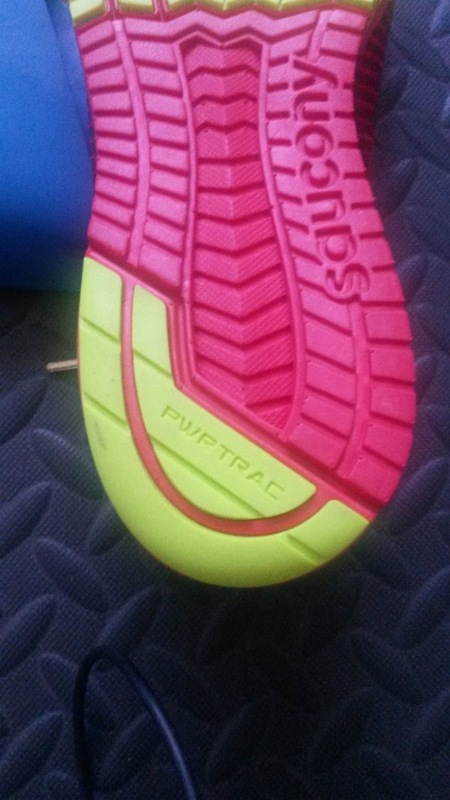 These should be great for forefoot foot strikers as a way to smooth out the transition from initial contact. This is not common in shoes, but I think it should be just as heel cushioning is present. Finally there is a major flex groove in the anterior midfoot, which I will discuss in a second. 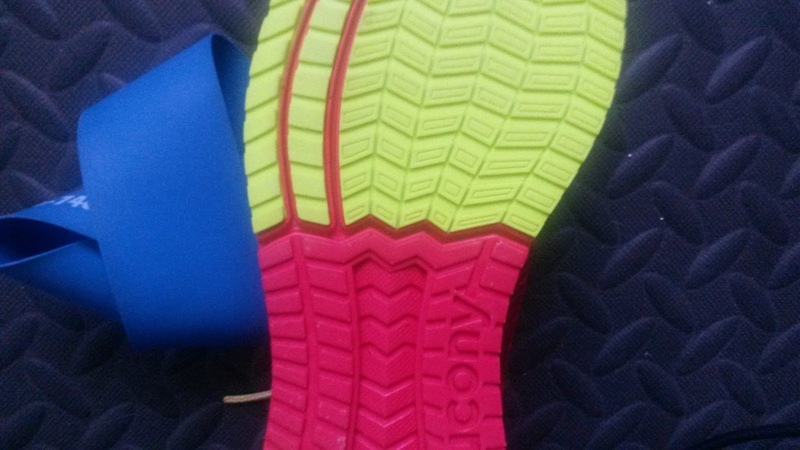 Overall the sole of the shoe is smoother than the very firm A6 and A7. This does not make the shoe less responsive, but the A8 will last in my mind up to longer distances. Even though it is supposed to have the same stack height as previous, the A8 feels slightly more cushioned. Thus I personally would feel comfortable taking this up to a half marathon. This will vary heavily on what your body can handle, as some people could handle the A6 and Type A up to and beyond the marathon. 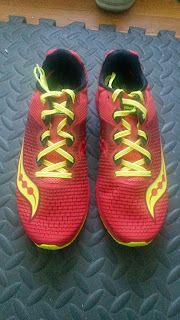 Most will still use this shoe as a 5k-10k shoe, as this shoe responds very well to high speeds. I have not put high miles in this shoe, but it feels very comfortable during strides and repeats. The addition of the flex grooves gives this shoe a double use as a minimalist or very lightweight trainer. Now that the Nike Streak LT is a very firm shoe that works far better on soft surfaces, it has lost its function in my mind as a cushioned minimal shoe. Personally I think the A8 has taken this place as the mildly cushioned double use racing shoe. Thoughts as a DPT: I am very happy with most of the updates to the A8. The more accommodating upper is great to reduce any excessive pressure on the foot, particularly in the metatarsals without having a sloppy fit. It is important to try to avoid shoes that feel extremely narrow, as smashing your metatarsal bones together is a great way to impinge on the many intermetatarsal plantar nerves. For those of you wondering where neuromas come from, these are one of the many ways these can happen. Excessive pressure on a tissue can cause it to grow out in responsive to the stress. Unfortunately for these nerves, they do not have a ton of room between those metatarsal bones, so the neuroma gets stuck attempting to grow larger in response to the stress. So it is best to find shoes that do not compress your feet excessively. This is why I am a fan of the slightly relaxed fit of the Type A series. I do understand people have different width feet and thus each person will have to find an optimal fit for themselves. The one update I am not as happy with is the major flex groove in the midfoot. I have discussed this before, but there is no major sagittal plane joint in the midfoot. The intertarsal joints, of which there are 7, mostly function through inversion, eversion, abduction and adduction. Thus having a flex groove there does not make sense and may stress those joints. While I do not feel any major stress on the foot as the flex grooves seem to work well together, I would caution footwear companies to be careful where they put those flex grooves to work with and not against the foot. The Type A8 is a fantastic update to this series. The wider fit should make it more accessible to a wider range of runners looking for a 5k-10k racing shoe. 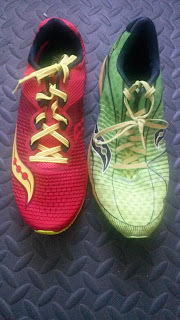 Many people will be able to take the shoe farther thanks to the fit changes and what feels like more forgiving sole. I am however a little disappointed that Saucony did not add Everrun to this shoe. Hopefully this will happen in the future, but for now the Type A8 remains as a fast shoe that should work well for all workouts. Thanks to the increased flexibility, this shoe will also work well as a minimalist/very lightweight shoe for those that like that for training. These are definitely worth a look for your training and racing needs for those looking at faster and shorter distances. 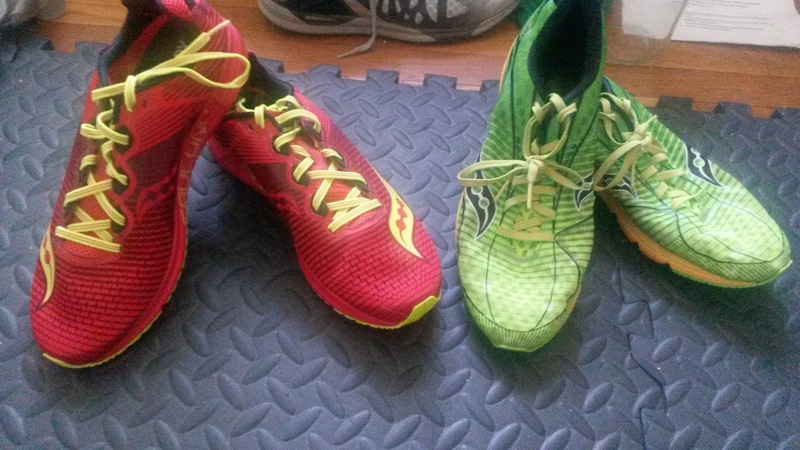 ***Disclaimer: These shoes were a personal purchase from Running Warehouse. I did run briefly on the road to test the shoes out for a short jog and a couple strides (no more than I would normally do testing shoes out at a local running store). Due to financial reasons I will likely have to return these to Running Warehouse as I am currently an Orthopedic Physical Therapy Resident at Casa Colina (and funds are a bit tight as a resident). However, if they are provided to me by a company in the future, I will put them through their paces and report back fully.